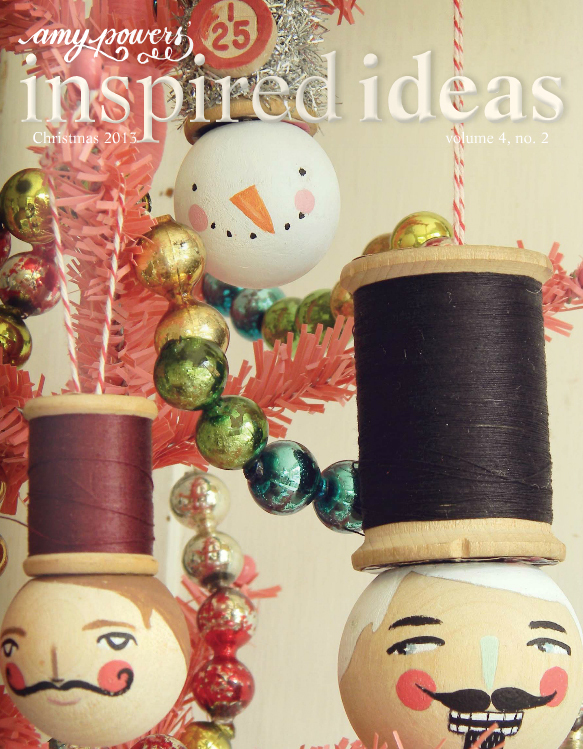 I am so excited to announce that the Christmas issue of Amy Powers’ Inspired Ideas has finally been published! If you’ve never had a chance to experience her beautiful, inspiring online publication, it’s time to head on over to her website to take a peek! Once you start looking at this issue, as well as back issues, you will become enamored and will want to read them all! 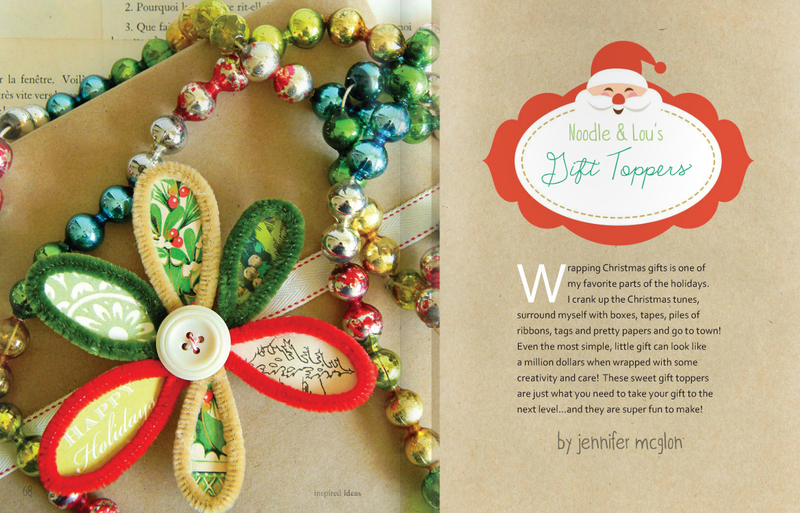 This publication is a unique mixture of craft ideas and tutorials with a vintage feel that is strong on whimsy. Christmas is right around the corner, and I know you will be heading to the craft store right away so you can whip-up an adorable vintage mesh stocking (just like the one you got as a kid! ), some shiny tin ornaments for your tree or perhaps a miniature deer mount as a gift for the friend who has it all! 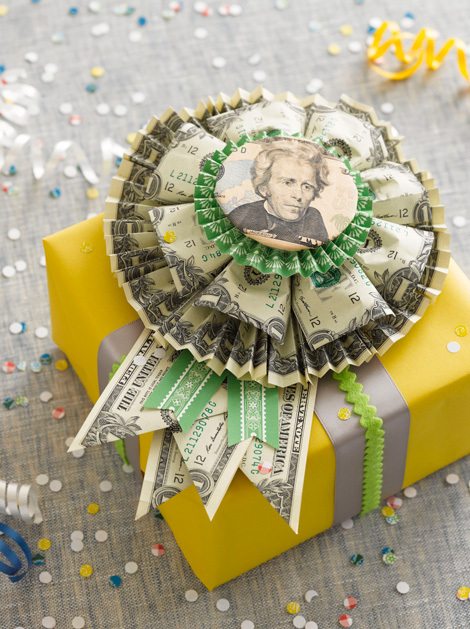 All of the directions, along with fantastic pictures, are provided to make it a piece-of-cake to create something delightful to get into the holiday spirit! 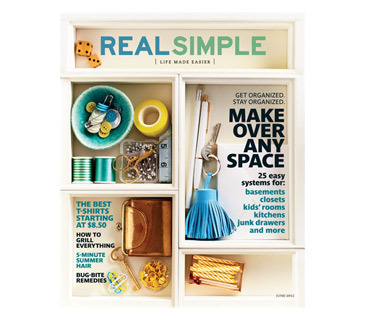 I was thrilled to contribute to this issue by reviewing some heart-warming holiday reads. Furthermore, I served as the editor of this issue, and was able to lend a scrutinizing eye for typos and other small nit-picky details that perhaps only someone with an English degree would even bother to notice! 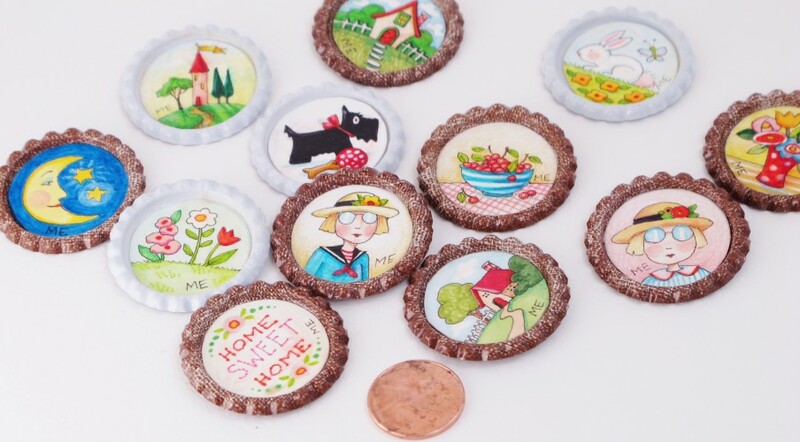 To experience some unique craft ideas and be introduced to some adorable new products — and of course, read my inspiring book reviews — hurry over and take a look! If you read (or have read) any of the book titles that I recommend in my article, I sincerely hope that you will stop back and leave me a comment with your thoughts. It’s so much fun to talk books! 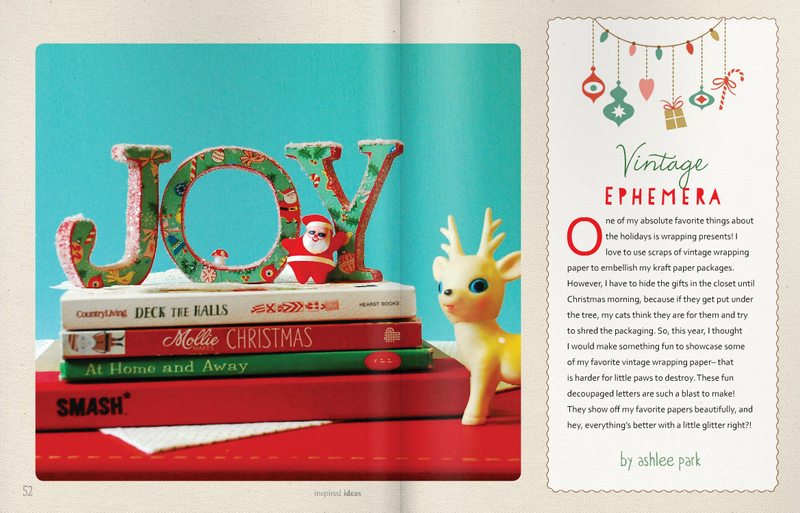 Happy Holidays, happy crafting, and happy reading! Summer Reading List, Oh How I Love Thee! Okay, I’ll admit it…. I’m spoiled. I have an amazing job in public education, and while teachers don’t go into education for the money, we do get some other enormous perks = SUMMER! The two months that I have off are filled with many activities which include a lot of “catching-up” with home tasks, chores and the little things that I neglect during the school year. However, it is a huge priority for me to sit down and read as often as possible during my time off. As an avid list-maker, I have made several summer lists, but the most important one is my reading list. Here it is! I would love to hear your feedback on my choices! Of course, I have more books to read than I can count, but these have risen to the top of my stack! 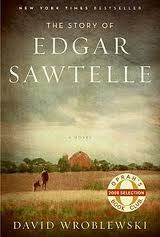 I can’t believe how long I have been meaning to read The Story of Edgar Sawtelle by David Wroblewski! It has literally been “on the stack” for years. A few of my good friend really loved it, and I hear it is a dog story, so I’m anxious to finally enjoy it! The time has come! 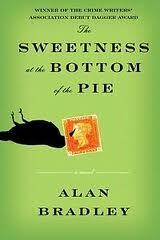 The Sweetness at the Bottom of the Pie by Alan Bradley was a thrift-store find, and the title is so enticing! I don’t always read mysteries, but every once in awhile I really crave a good one! This is apparently the first in a series of mysteries featuring a young sleuth named Flavia de Luce. 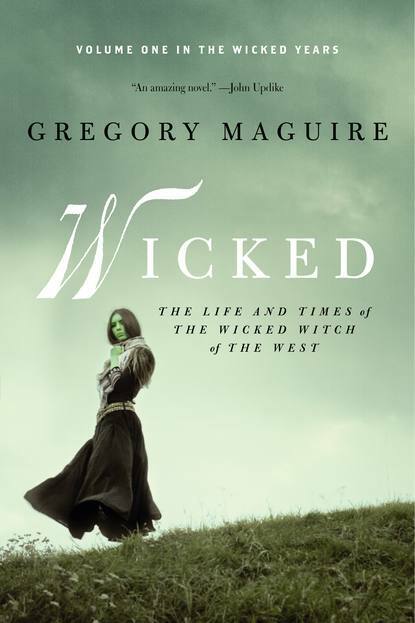 I’m hoping that I love it, so I can get lost in the rest of the series. It’s won several accolades and has turned up on recommended lists for both adults and teenagers, so I want to read Salvage the Bones by Jesmyn Ward for its potential for my high-school library. 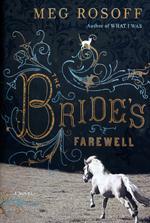 A fellow co-worker told me that The Bride’s Farewell by Meg Rosoff was one of her best reads last year, and I love Meg Rosoff. I see on her blog that there may be movie-rights in the future… I love to read books and “cast” them in my mind with the actors I would see in the roles! I have a new puppy! In my mind, this should probably be the first book I read! 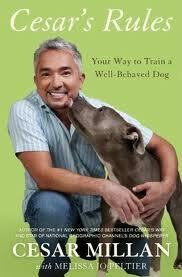 I have never read a Cesar Millan book, but I figure, he must know what he’s doing! I have high hopes that after reading this book, my little Arlo will be sitting-up, rolling over, and sleeping through the night! 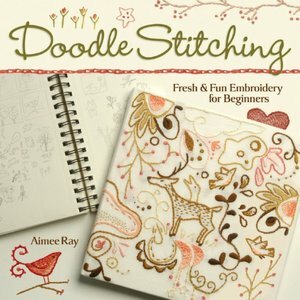 I am going to be taking a stitching class via Big Picture Classes from the talented Amy Powers, and I spotted these two books at my local library the other day. 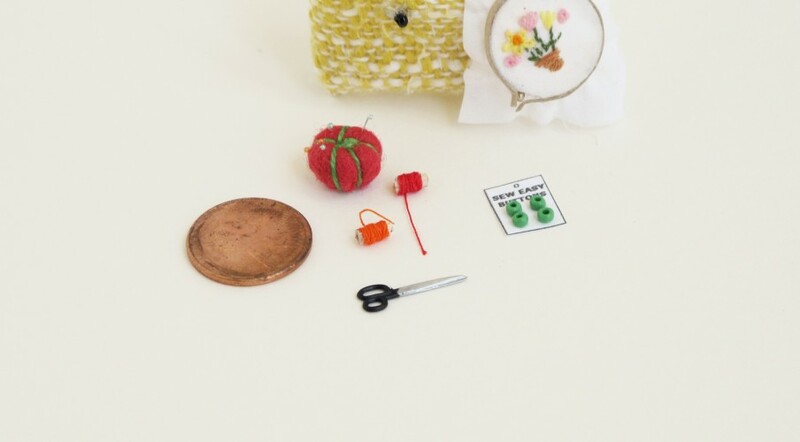 The class is called “Happy-Go-Lucky Stitchalong.” Doesn’t that sound fun? 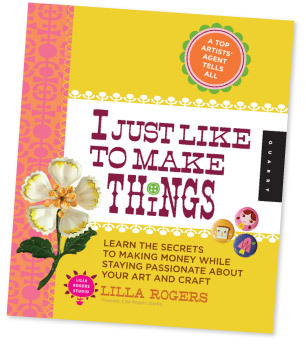 These books are full of inspiration and published by my favorite craft book publisher Lark Books! 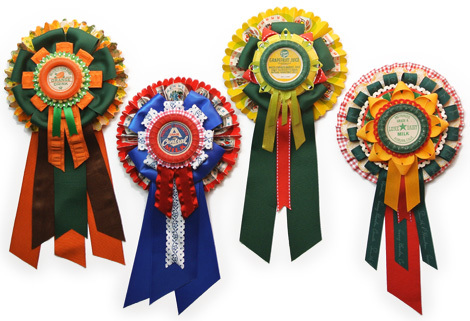 I have already found some great inspiration for my project with Amy! 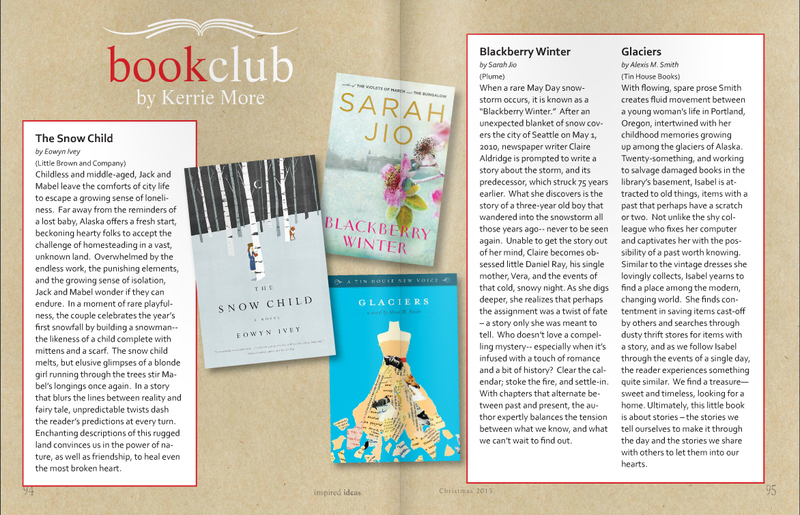 Have you made your summer reading list, yet? 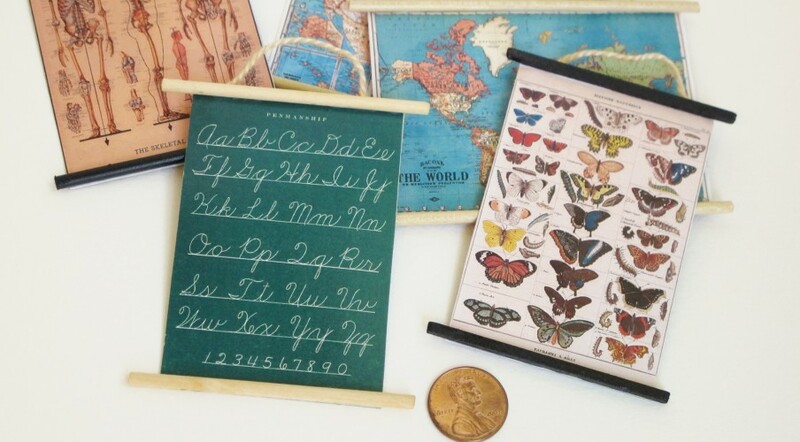 What was the best “summer book” you can remember reading? I would love to hear from you! 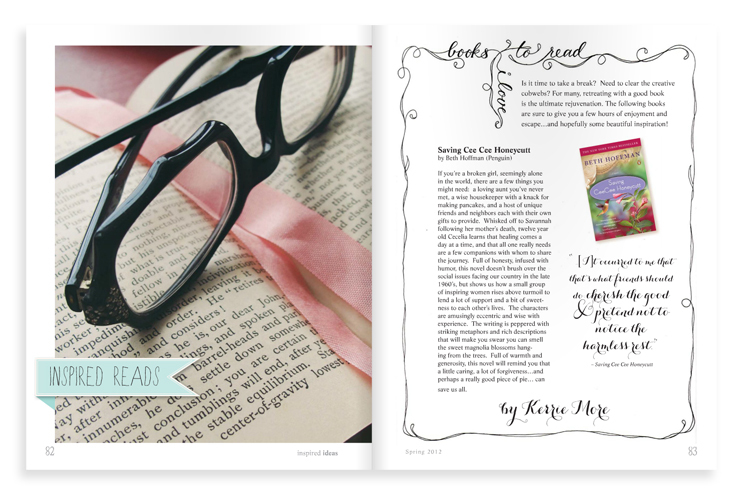 Thanks for stopping by… happy summer, and happy reading! 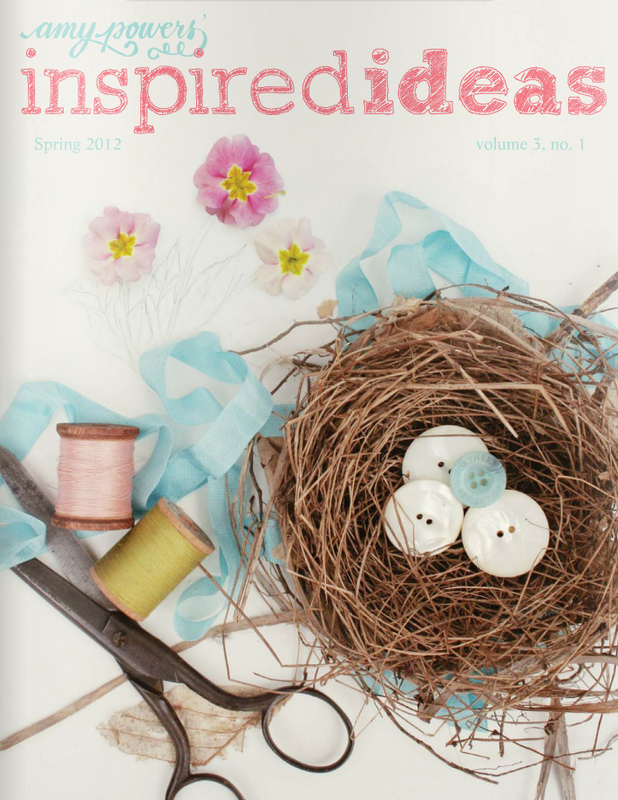 I am so excited to announce that the spring issue of Amy Powers’ Inspired Ideas has finally been published! If you’ve never had a chance to experience her beautiful, inspiring online publication, it’s time to head on over to her website to take a peek! 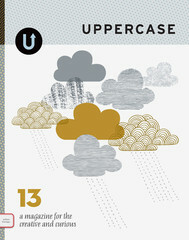 Once you start looking at this issue, as well as back issues, you will become enamored and will want to read them all! 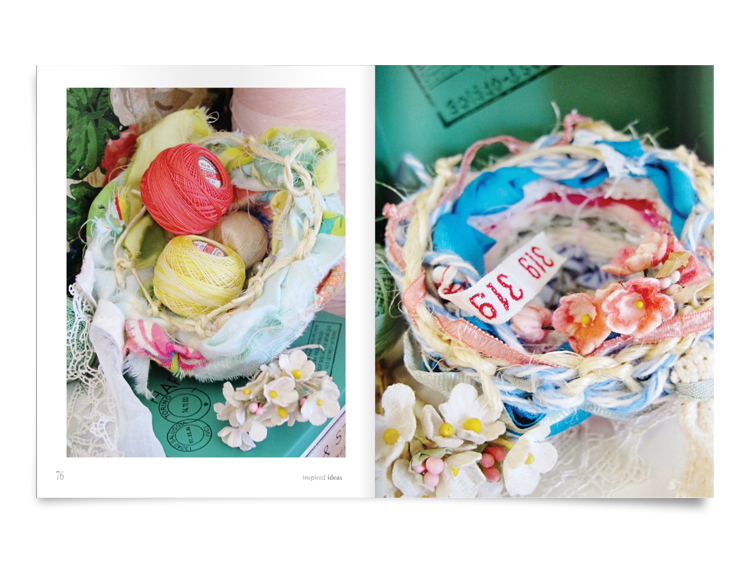 This publication is a unique mixture of handicraft ideas and tutorials with a vintage feel that is strong on whimsy. 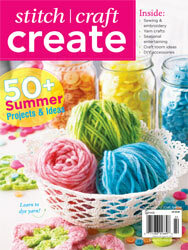 This latest issue is quite possibly her best yet! 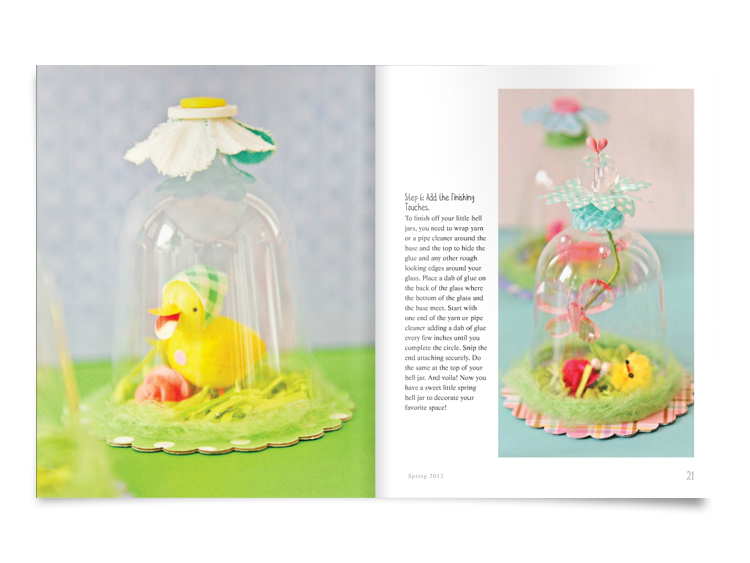 Easter is right around the corner, and I know you will be heading to the craft store right away so you can whip-up an adorable Easter bow tie, some springy pencils or a whimsical little bird to tuck into an Easter basket. 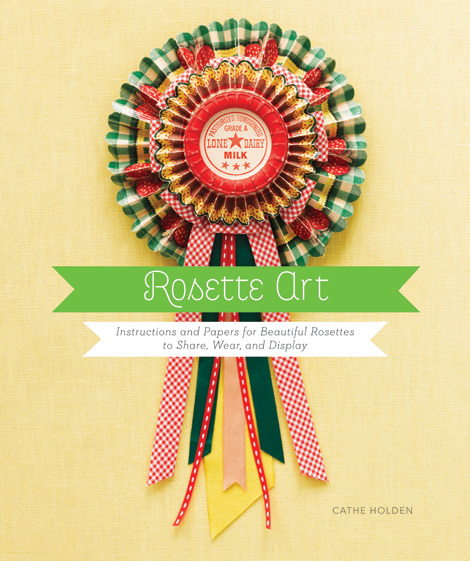 All of the directions, along with fantastic pictures, are provided to make it a piece-of-cake to create something delightful to usher in spring! 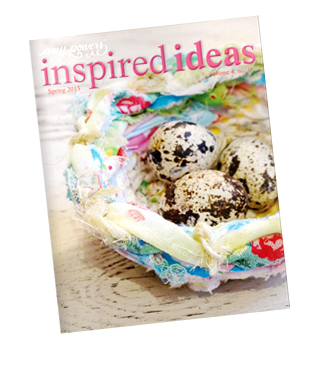 So why am I so excited to share this issue with you? 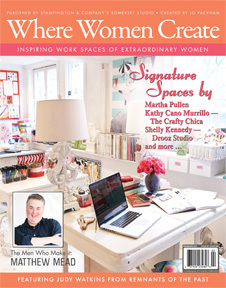 Well, I was lucky enough to meet Amy at The Creative Connection (by Jo Packham) last fall, and she was kind enough to ask me to contribute some book reviews for this issue. 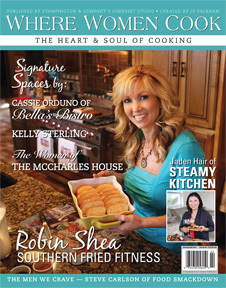 I had so much fun writing the reviews, as well as editing many of the articles (a great way to use my English degree!) 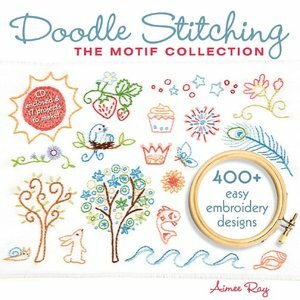 Amy is a class-act and one talented designer and artist! 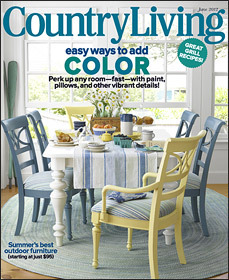 I am honored to be a part of this issue. 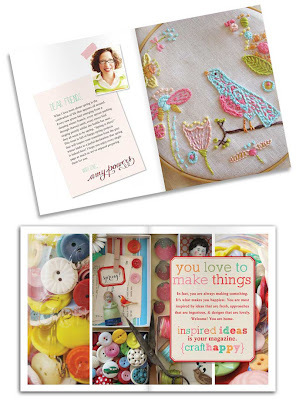 To experience some inspiring springtime craft ideas, as well as introductions to some adorable new products — and of course, read my inspiring book reviews — hurry over and take a look! If you read (or have read) any of the book titles that I recommend in my article, I sincerely hope that you will stop back and leave me a comment with your thoughts. It’s so much fun to talk books! 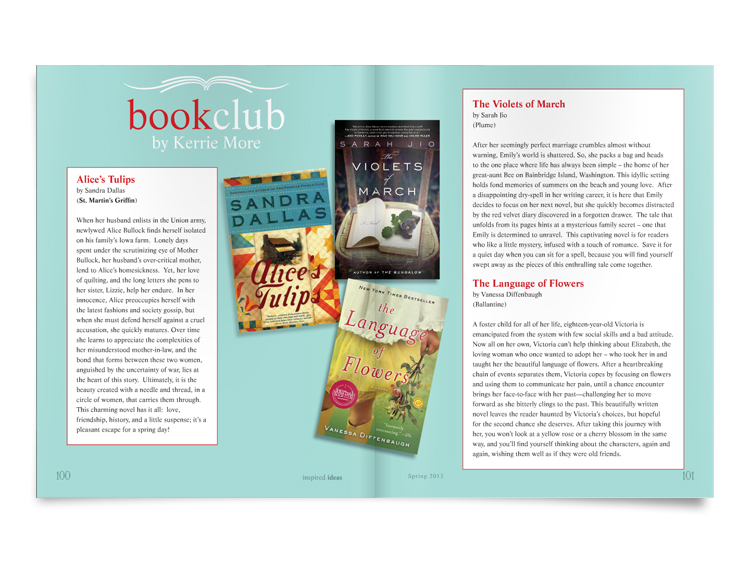 Happy spring, happy crafting, and happy reading!